Ever since the introduction of their products to the United States, Magnum has kept their peculiar marketing tactics consistent and specific. By partnering with various fashion designers, the company hopes to affiliate their products with the unique luxurious experience that high-fashion labels have to offer. Past collaborations with Karl Lagerfeld and Alice & Olivia have been well received by the public, and have successfully created a chic and modern image for the brand. Food and fashion might seem like completely opposite concepts, but in this case, Magnum has made it clear that it is not impossible to have Karl Lagerfeld and Anna Wintour mingling around a chocolate ice cream bar launch party. And now, there is a real gold formal dress which is designed by Zac Posen for Magnum’s ice-cream advertisement, a short film "as good as gold". This piece of formal dress is made of honest-to-gold 24k gold, with a very feminine silhouette. It is worthy $1.5 million! It is amazing! 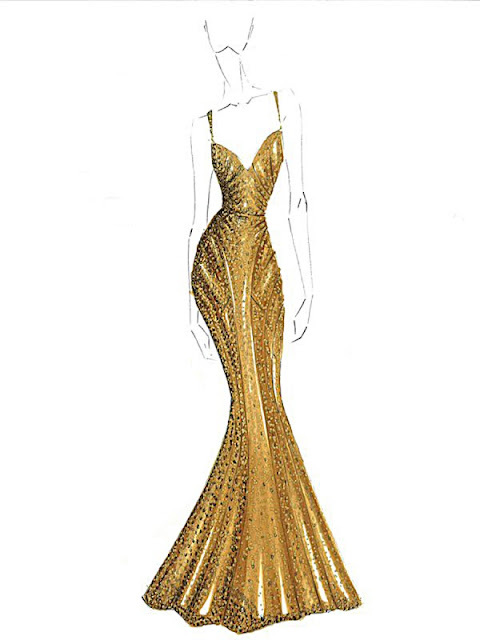 In order to promote the new ice-cream "Mangnum Gold" which has a golden appearance, Magum invited Zac Posen to design a formal dress with the inspiration from this ice-cream. So Posen decided to create something "that felt like liquid gold ---the ultimate glamour gown." The solid gold is too heavy for anyone to ware, so they made it with regular paillettes plated with 24K gold instead of solid gold paillettes. Then sew all the paillettes on. It took about two months to complete this dress. The beauty of this dress is beyond to words. Caroline Correa, the heroine of the short film “as good as gold”, got the chance to wear this $1.5 million real gold dress. Striking beauty, amazing… are illustrated Caroline Correa in this dress on the red carpet! No matter the dress or the advertisement both achieve their expectation! 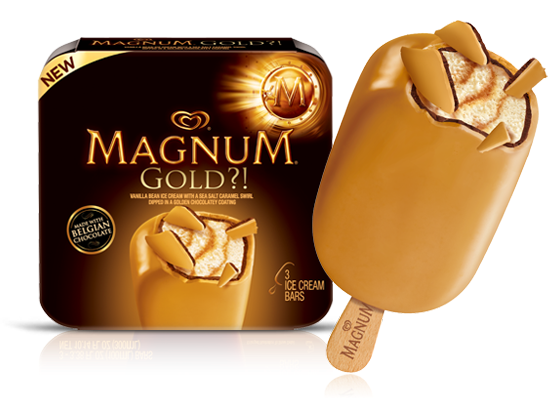 Perhaps making a golden dress in order to play homage to the existence of an ice cream bar is nothing but an immensely wasteful idea. Nonetheless, when it comes to marketing, companies will do just about anything to get people’s attention and manipulate their thoughts and opinions about a specific product. This time, I admit to having fallen for their trick by contributing to the hype around this steamy video clip. Though I can’t wait to see the million-dollar gown in action, I also believe that the only right way to conclude this outrageously expensive production is to auction off the leftover pieces of the dress, and donate the profits to a good cause. What better way to wrap things up than with a “priceless” action of kindness?